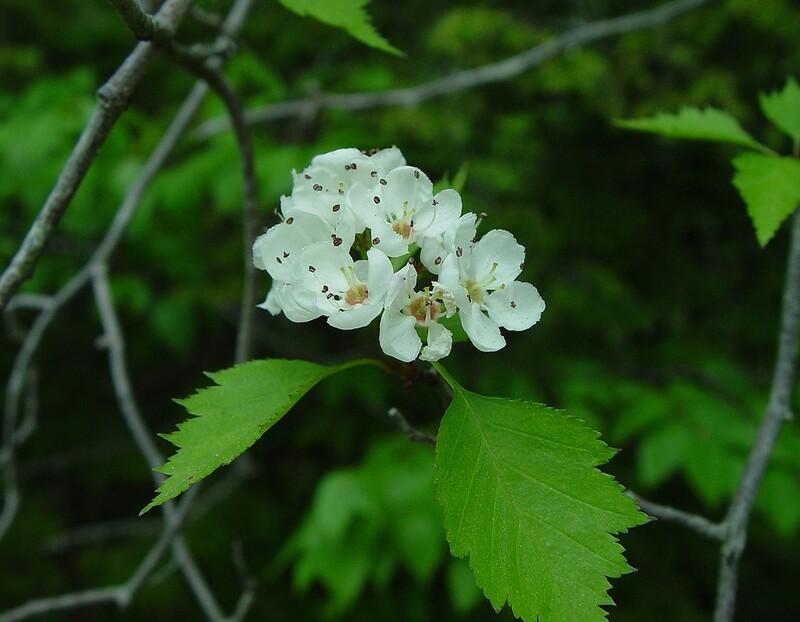 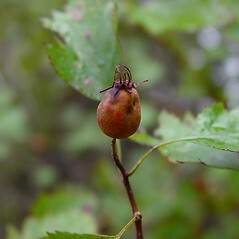 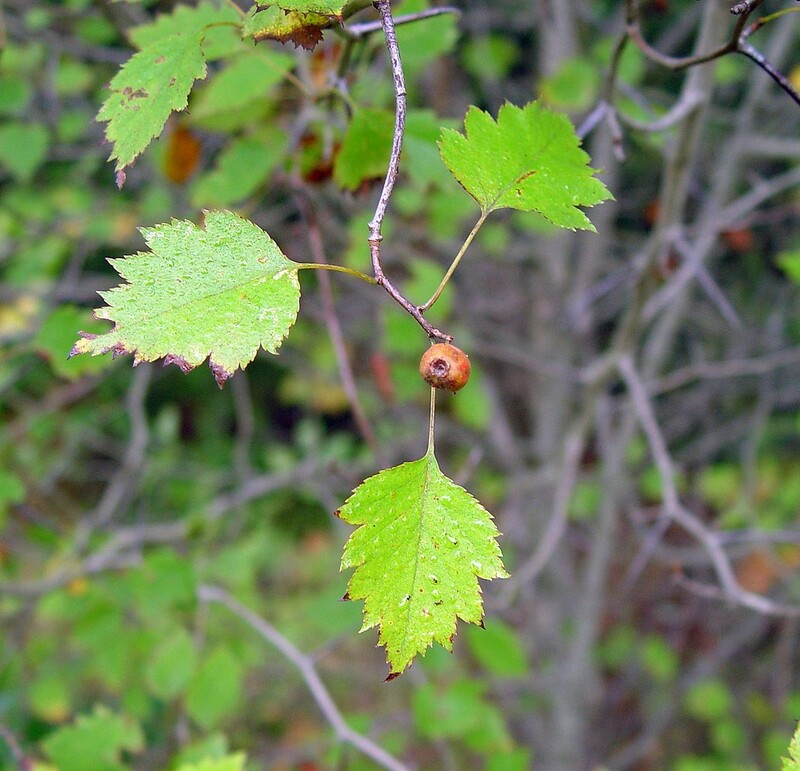 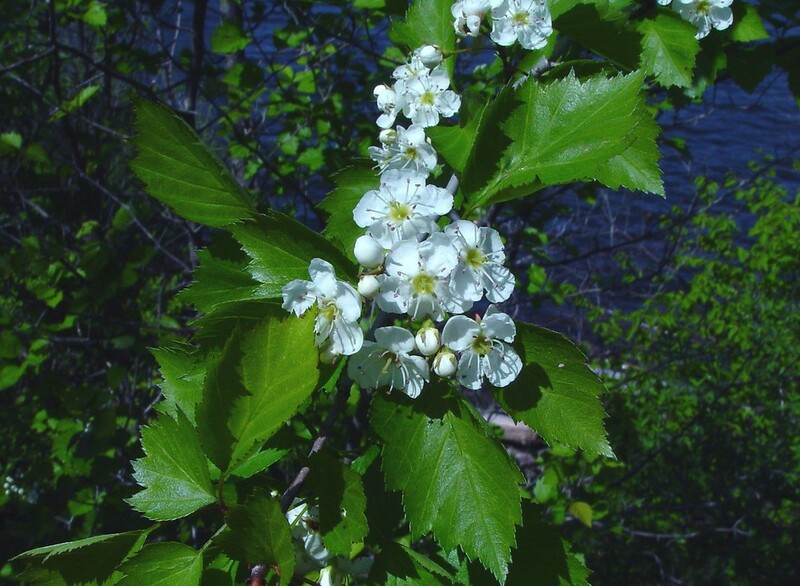 Crataegus fluviatilis is a relatively rare of hawthorn in New England. 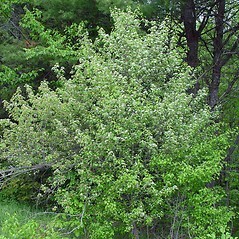 It is closely related to the more common and wider ranging C. flabellata. 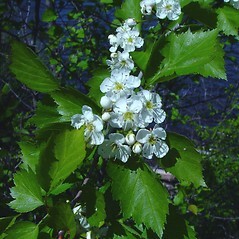 flowers with 12-20 stamens and pomes obloid to obovoid (vs. C. fluviatilis, with flowers with 5-10 stamens and pomes subglobose). 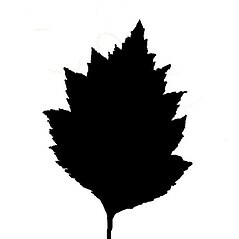 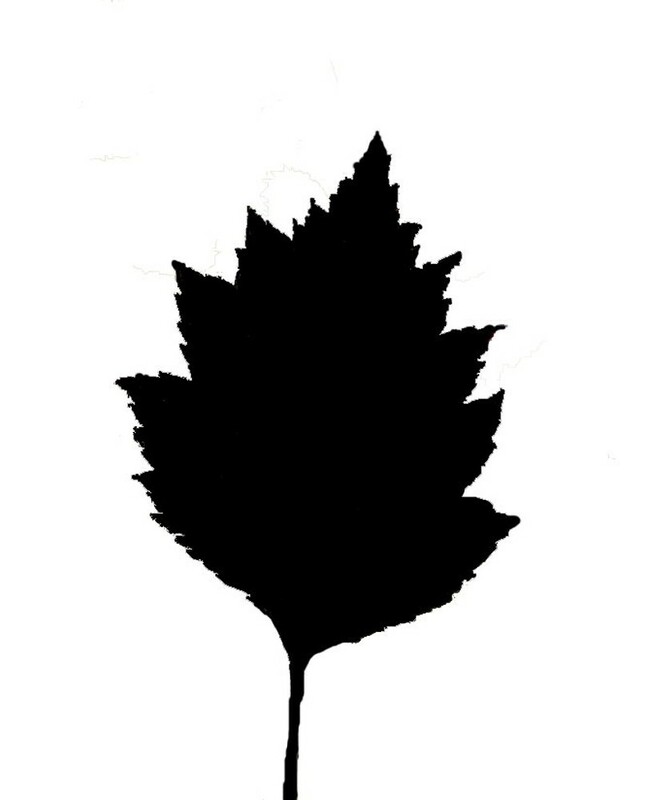 leaf blades broad-ovate to suborbicular, 1-1.2 times as long as wide (vs. C. fluviatilis, with leaf blades ovate to broad-elliptic, 1.2-1.7 times as long as wide). 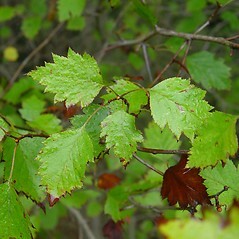 river hawthorn. Crataegus apiomorpha Sarg. 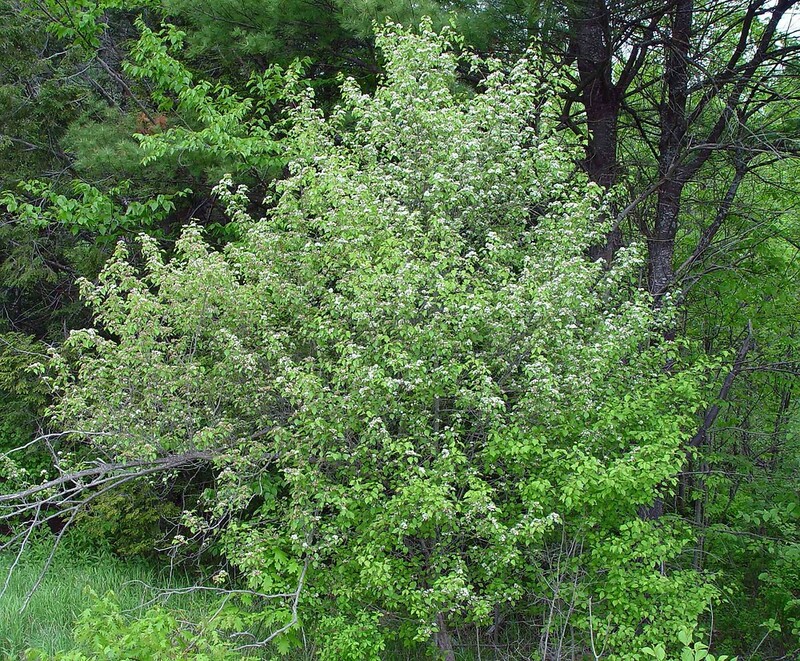 • ME, NH, VT. Fields, forest borders, roadsides, early successional forests. 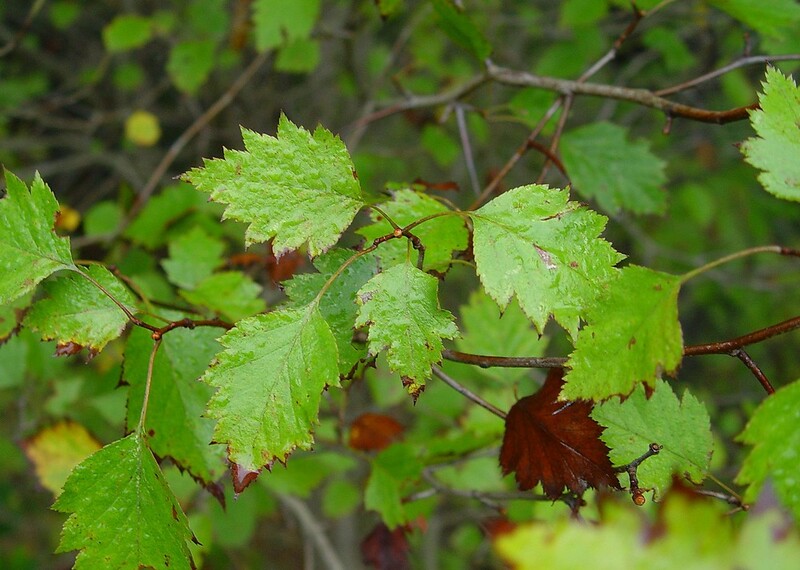 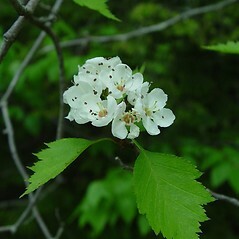 Similar to Crataegus flabellata but with a relatively more elongate leaf blade and always with one cycle of stamens.